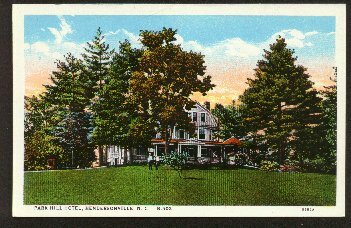 "Postcard - Park Hill Hotel - Hendersonville, NC - Circa 1915. (762) POSTCARD: Park Hill Hotel - Hendersonville, NC.-Condition: Very Good.- Tinted Illustration, Circa 1915. Not Posted. Published by the Southern PostCard Co. in Asheville, NC. Price: $4.00 + shipping.